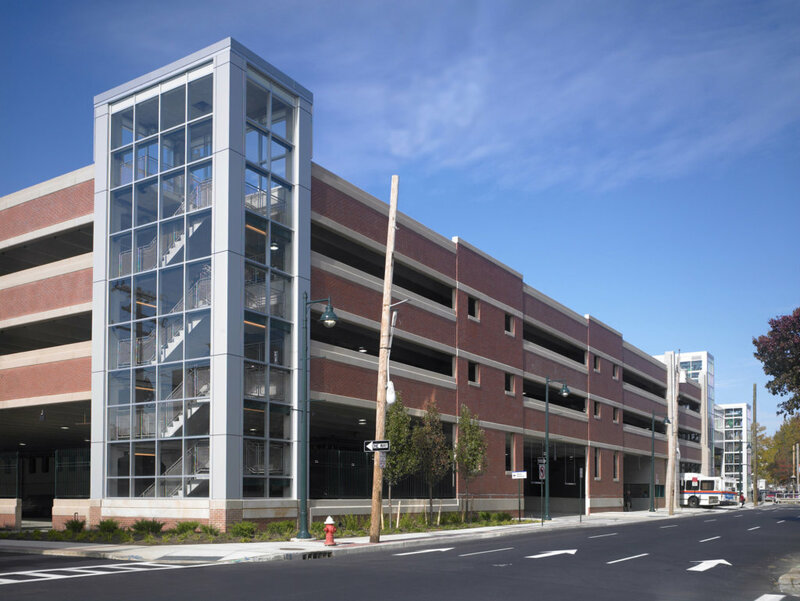 This $23 million Design/Build project contains (4) levels, accommodates 955 cars, (8) CNG buses, and separate offices for Garage Management, Long Island Bus, and Metropolitan Transportation Police. The garage has been designed to complement the proposed Mineola Downtown Revitalization Plan and the immediate surroundings. 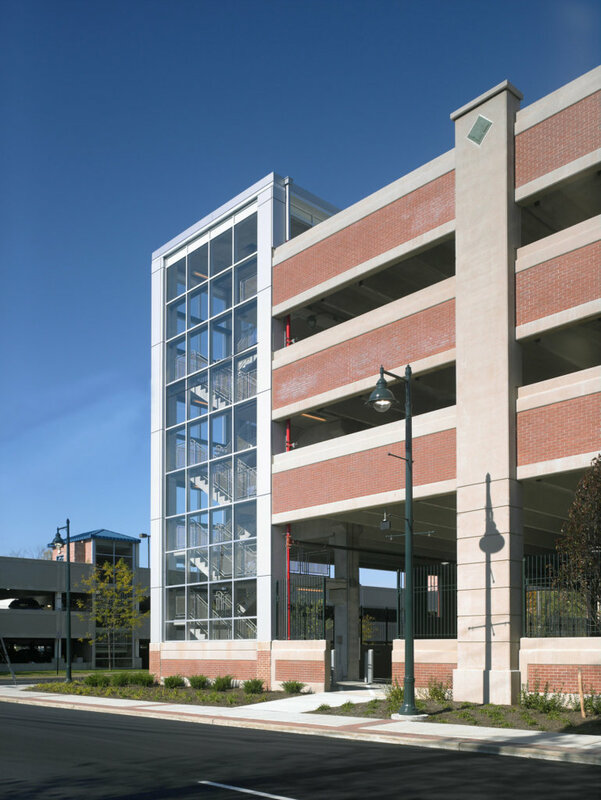 The garage facade is composed of brick and precast concrete elements, along with decorative precast concrete pilasters with tile inserts to match a nearby historic bridge. Each of the stair towers and the elevator are clad in aluminum panels and clear glass. 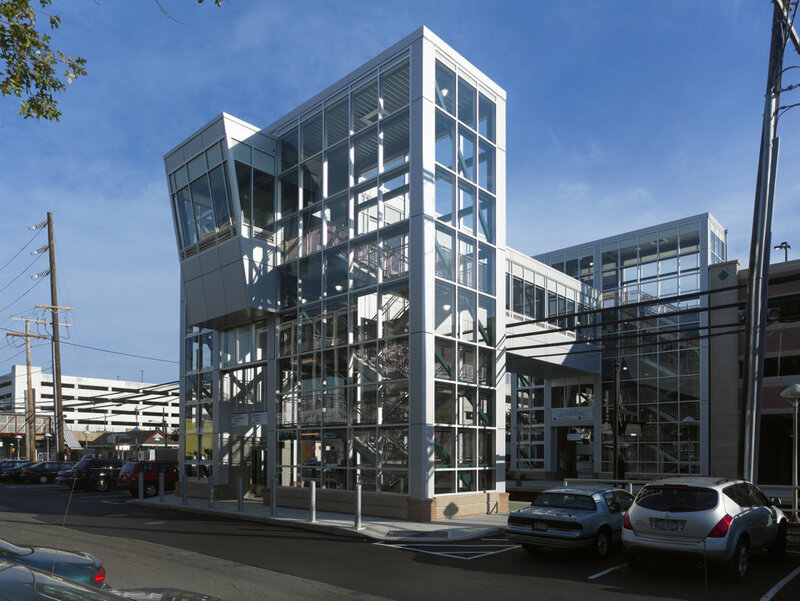 The same aluminum and glass aesthetic are utilized for an enclosed pedestrian bridge which connects the garage, Mineola Station platforms, and ground level. The entire garage and overpass area ADA compliant and provides the area with improved handicapped access.